Dalian, China — The plan here seems far-fetched — a $36 billion tunnel that would run twice the length of the one under the English Channel, and bore deep into one of Asia’s active earthquake zones. When completed, it would be the world’s longest underwater tunnel, creating a rail link between two northern port cities. 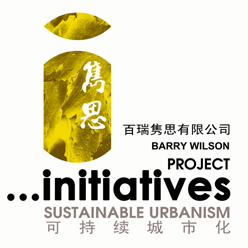 Throughout China, equally ambitious projects with multibillion-dollar price tags are already underway. 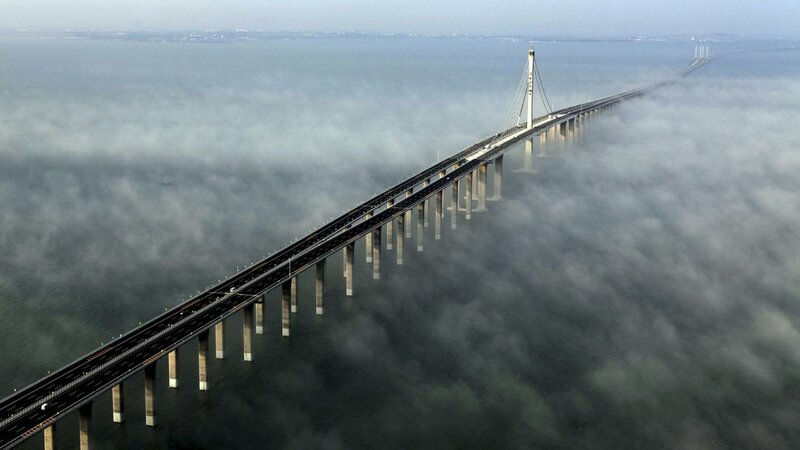 The world’s largest bridge. The biggest airport. The longest gas pipeline. An $80 billion effort to divert water from the south of the country, where it is abundant, to a parched section of the north, along a route that covers more than 1,500 miles. 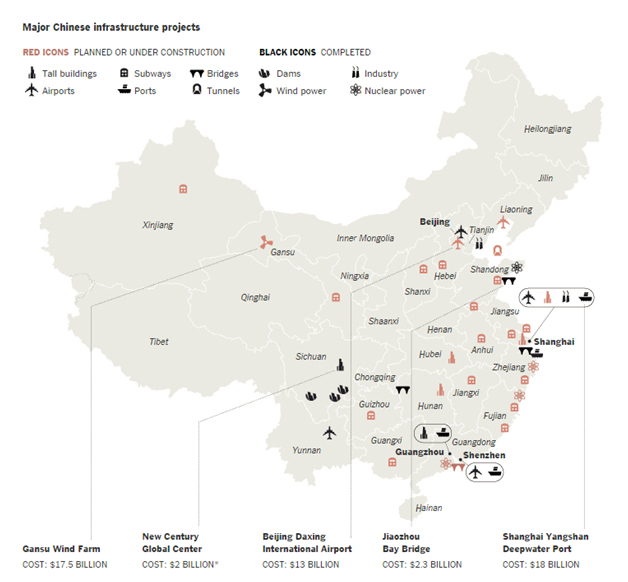 Such enormous infrastructure projects are a Chinese tradition. From the Great Wall to the Grand Canal and the Three Gorges Dam, this nation for centuries has used colossal public-works projects to showcase its engineering prowess and project its economic might. Now, as doubts emerge about the country’s three-decade boom, China’s leaders are moving even more aggressively, doubling down on mega-infrastructure. In November, for instance, the powerful National Development and Reform Commission approved plans to spend nearly $115 billion on 21 supersize infrastructure projects, including new airports and high-speed rail lines.